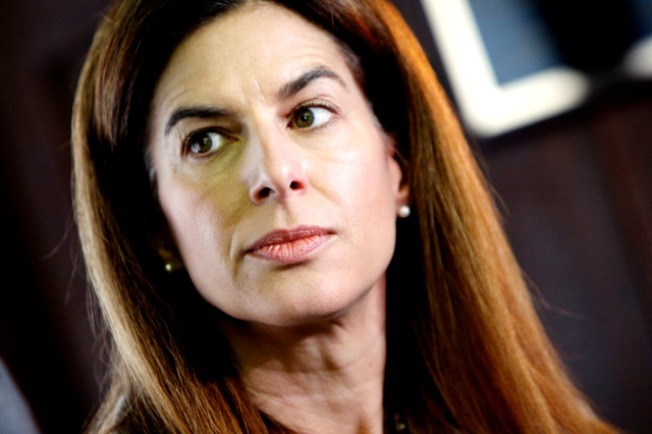 Secretary of the State Susan Bysiewicz's race for attorney general seems to be over. The state Supreme Court has decided unanimously on Tuesday to reverse a lower court's decision that she meets the eligibility requirements to run. The decision comes days before state Democrats meet to endorse a candidate for statewide offices and the day the current attorney general is dealing with a high-profile backlash in the court of public opinion. "I am tremendously disappointed with the court's decision overturning Judge Sheldon's ruling and I strongly disagree with the decision both on the eligibility and the constitutionality issue," Bysiewicz said in a statement released Tuesday evening. "However, I do respect the rule of law and will abide by it." She originally planned to run for governor and became the front-runner, but she bowed out of the race soon after U.S. Senator Chris Dodd bowed out of his own race, setting in place a domino affect that prompted Attorney General Richard Blumenthal to announce that he was considering running for that seat. With the AG seat effectively open, Bysiewicz to decide to run for it. Then, a blog post questioned her qualifications, which led to a court case in which Bysiewicz essentially files a suit against her own office. Two weeks ago, Superior Court Judge Michael Sheldon ruled that Bysiewicz was eligible to run for attorney general. He decided that her time as Secretary of the State satisfies the requirement that she be a practicing attorney in Connecticut for at least 10 years. The state Republican party appealed and the State Supreme Court held a hearing on Tuesday and the judges made the unanimous decision to overturn that ruling, deciding that she is not eligible. Bysiewicz's campaign has not yet commented on the decision. The decision comes on the same day that the current Blumenthal is in the national spotlight over misstatements about his military service record. On Monday night, a New York Times article placed him at the forefront of national news over a statement he made during an event when he had served in Vietnam -- something that is not the case. Today, he defended himself and said he misspoke and regrets doing so.